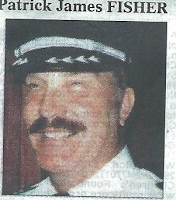 Word has been received with news of the passing of PNA/WA retired pilot Captain Patrick James Fisher, age 88. 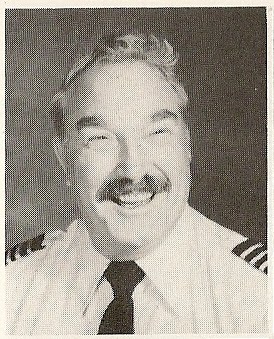 Captain Fisher hired on with Pacific Northern Airlines 05-01-1953 and retired with Western Airlines in 1985, based SEA. Captain Fisher is survived by his wife Helen. They had most recently resided in Kent WA but perhaps the best contact for the family would be c/o son Daniel at Dan.j.jfisher48@gmail.com as is noted in Captain Fisher’s obituary. To view/sign the online guestbook please visit http://www.legacy.com/obituaries/seattletimes/obituary.aspx?n=patrick-james-fisher&pid=168176785 As was Captain Fisher’s request, there will be no services. Born in Buxton, OR to Frank and Margaret Fisher. Graduated from Battle Ground High School in 1943. He served in the Navy in WWII aboard the USS Fred T. Berry as Radarman. Upon discharge he continued in Radio at Multnomah college and started Flight Training. In 1946 he married Helen Fox, sharing a long and loving marriage for 67 years. In 1950 he moved his family to Anchorage, AK where he was a Radio Engineer at station KFQD and continued Flight Training. Soon he was flying the greater Alaska Bush in a single engine and float planes. Later became a Flight Instructor at Merrill Field. After twin engine training he became a Commercial Pilot with Pacific Northern Airlines, eventually merging with Western/Delta. He retired as Captain after 32 years. He felt honored to have flown the last Lockheed "Connie" commercial flight in the U.S.
At retirement, he and his sons started a refrigerated trucking company in five states. After 6 years he gave up his rights as the onset of deregulation. Pat was an avid reader and enjoyed being home with his family. Soaring became his hobby. We remember his humor came easily - his boldness helped him to meet his life's goals. He is survived by his wife Helen; brother Michael Fisher of Brush Prairie, sister Patricia Powers of Kelso, WA; four sons, Michael (Gretchen) of Tacoma WA, Daniel (Terry) of Auburn, WA, Lawrence of Kent, WA, Stephen (Joy) of Sumner, WA; 7 grandchildren and 4 great-grandchildren. The family is grateful to the kind staff at Hallmark Manor. At Pat's request there will be no services. Remembrances may be made to Children's Hospital or cancer research; or a charity of your choice. It is with regrets that I pass along the passing of PNA/WAL Captain Pat Fisher.